Mole is the unit which is used to measure the amount of atoms in a substance. 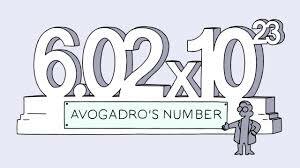 The value of mole is 6.022*1023 atoms. Basically, 1 mole of hydrogen atom means 6.022*1023 hydrogen atom or 602200000000000000000000 hydrogen atoms. Mole is not only used to measure atoms but also many subatomic like atoms, molecules, ions and electrons.